When playwright/actress Sharon Sharth suffered a freak onstage accident that dislocated her jaw during a performance at the Old Globe Theatre, her doctors told her to "get a new career." "I could barely open my mouth," recalls Sharth, "and the doctors were pushing me to have surgery, but I refused." So she took a detour into a successful career as a children's author, but the stage continued to beckon. It's no wonder. Sharth had a budding and brilliant career as an actress in New York. As a member of the prestigious Circle Repertory Company, she originated roles in plays by Sam Shepard, Lanford Wilson, Aaron Sorkin and John Bishop, worked with prominent directors like Marshall W. Mason, Don Scardino and Randal Myler, and performed at Manhattan Theatre Club, Geffen Playhouse, Mark Taper Forum, San Diego's Old Globe, Actors Theatre of Louisville Humana Festival, Yale Rep and the Eugene O'Neill National Playwrights Conference, as well as touring internationally. After moving to Los Angeles, Sharth took the first steps back to acting. Since then, she has been nominated for best leading actress awards for both Woman In Mind by Alan Ayckbourn and for A Perfect Ganesh by Terrence McNally, and recently won an L.A. Scenie Award for Outstanding Performance by an Actress in a Featured Role in the Rubicon Theatre production of See Rock City by Arlene Hutton. She also has appeared at the Odyssey with Jane Kaczmarek and Gregory Harrison in The Snake Can by Kathryn Graf. Films include starring roles in Doorman with Bradley Whitford and Eat and Run with Ron Silver. 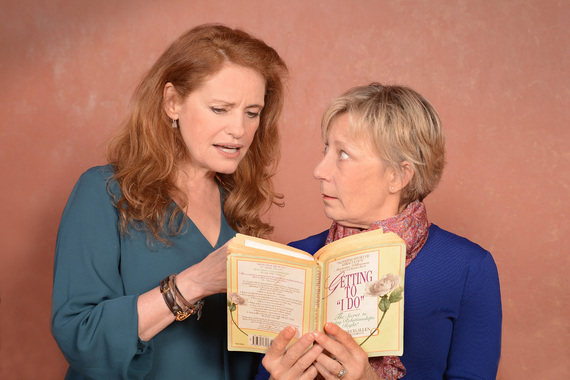 "In many ways," says Sharth, "the play is the story of a generation of women who were caught between marriage and career. In that way, it may be controversial, but I believe it has a universal message for women, and for men as well." Waiting for Grace opens on November 12th at the Odyssey Theatre. It is directed by Lee Costello and features, in addition to Sharth, Pamela Dunlap, Lily Knight, Todd Babcock, Jeff LeBeau and Bob Telford.